We hand craft custom cakes and cupcakes! You think it, we make it! 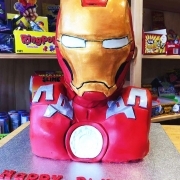 We love Pop Culture, We love creating Pop Culture Icons into cakes! Colourful custom cakes that suit your kids party themes! Come and Challenge us to make the most Unique Cakes just for you! Delivery available up on request, delivery fee varies from distance. 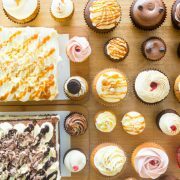 Same day delivery available for Cupcake packages ordered before 1pm. Minimum 3 day notice for Custom Cakes. Early pickup or late pickup is available up on request.